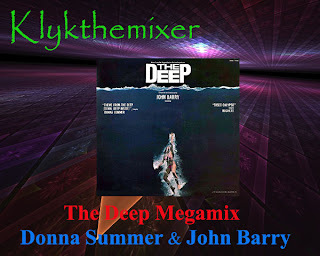 Just to be going on with I mixed this megamix from the album versions of The Deep Soundtrack. Starting with the instrumental and hopping between that and the vocal version till near the end I bring in the Love Ballad version to finish off, clocking in at 11.19mins. Hope you like it. It's about time someone used the John Barry instrumental to create a 12" version. Much better than the original disco promo. Thank you!